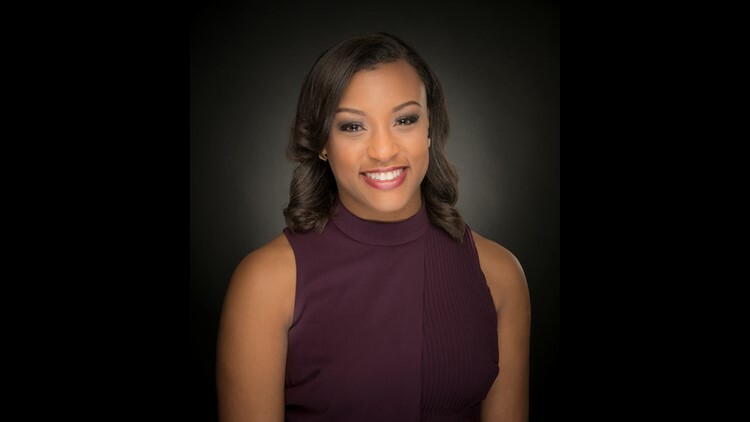 Keristen Holmes is an anchor at ABC10 in Sacramento, Calif., specializing in general assignment reporting. Keristen joined ABC10 in November of 2017. She hosts ABC10 News at 11am and 5pm. Keristen is a Southern girl who grew up in North Little Rock, Arkansas. She graduated from the University of Central Arkansas with a degree in Mass Communication. From there, she worked for major corporations such as Bank of America and Blue Cross and Blue Shield. But when the “News Bug” bites, it stays with you as it did with her. So 2 years into her career in health insurance, she decided to follow her first love of sharing stories on television. Keristen took her first reporting job at 40/29 News in Fayetteville, Arkansas in 2011. From there, she got a job at KTBS 3 News in Shreveport, Louisiana in 2012. She started out as an East Texas Bureau reporter/photographer for the station but quickly worked her way up to morning show anchor. Her love of reporting goes all the way back to her 6th grade year of elementary school when she was hand-picked by teachers to anchor their school news and announcement show. As an adult, Keristen became an avid volunteer with Junior Achievement; a work readiness, entrepreneurship and financial literacy program for kindergarten thru high school aged kids. Her passion is to inspire kids to dream big and then reach their potential. When Keristen is not telling stories, you can find her enjoying all of the sights, sounds and food that Northern California and Sacramento has to offer. Contact Keristen at KHolmes@abc10.com and follow Keristen on Facebook and Twitter.